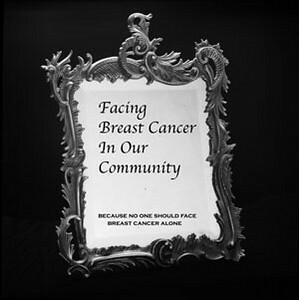 The seeds for this exhibit were planted in 1999 when I was asked to photograph people in our community who had survived breast cancer. Timing was an issue and it wasn't until June 2002 that this particular project began to unfold. Sitting/posing for a portrait can be difficult even for someone who is comfortable in front of a camera. Add the ingredient of living through a major trauma such as breast cancer and it truly is brave for anyone to expose himself or herself. I knew I had to create a safe and comfortable environment in order for the participants to reveal something of their souls. The first portrait was taken before we even had the grant. The morning of that shoot, I was trying to think of something different to do so as to encourage the first participant to relax. I noticed the very elaborate pewter mirror sitting on my dresser and--eureka--this could be a shield for the people who would pose for me. Add the piece of information that the mirror belonged to my Aunt Esther with the fact that she had had breast cancer (and survived) at a young age, and the connection although bittersweet, helped make the project for me.With the help and support of the Ithaca Breast Cancer Alliance team, both past and present, and with a grant from the Community Arts Partnership of Tompkins County/New York State Council on the Arts Decentralization Program, we were able to realize this exhibit. Of course, none of this would have mattered if it hadn't been for the women in the mirror and to them, I am most grateful. This was a true collaboration of all involved and I dedicate this show to all of you. 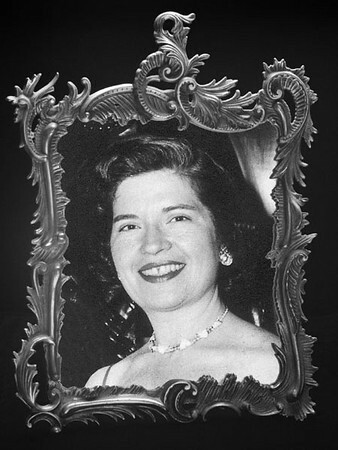 These portraits with their accompanying statements are available as a traveling exhibit. This exhibit can be expanded into other communities as I am available to photograph other survivors "in the mirror." Please feel free to contact me to discuss the logistics and expenses involved.